This is my first attempt at blogging through the alphabet and I'm going to honestly try to make every letter. And I promise next week won't be such a weighty topic. For the letter A there were so many options, including my only child's first initial. But what has been on my mind much lately is anxiety. I'm not sure why it's infinitely harder to talk about anxiety than other medical issues, but this is a topic that even my daughter feels uncomfortable discussing with close family members. Yet it affects our lives as much as any other medical condition. This post is about our experiences with anxiety and resources we found to help. My dad had anxiety, but I wasn't aware of this until I became an adult. It worsened as he aged and became ill and made me indescribably sad to see him thus. I've had anxiety since I was a child, but didn't really understand that's what was going on. It was easier to just be shy and avoid anxiety creating situations than deal with the feelings. As an adult I became prone to panic attacks and simply could not function if there was even a hint of severe weather. I've tried a few different medications over the last 20 years, but none helped enough to make it worth the side effects to my digestive system. I have multiple digestive problems and on a good day I can manage to keep the delicate balance. With anxiety medication I can't eat regularly and the constant pain is a huge drawback. It took years, but I've learned coping methods that are not perfect but allow me to function. Amber has also had anxiety most of her life, but with the development of dysautonomia she now has the compounded problem of her body triggering anxiety at random times through a malfunctioning parasympathetic nervous system. Then add in the effects of daily dealing with chronic illness. The end result is a girl that pretty tightly strung emotionally. Prior to the dysautonomia and EDS becoming pronounced, Amber saw a pediatric psychologist a few times to help us manage her anxiety at home. Little did we know those sessions would keep us all sane after Amber developed the chronic illnesses. We still use and reference the tools and knowledge gained from that psychologist and they helped both Amber and me handle our anxiety without medication. Currently Amber is seeing a different pediatric psychologist who specializes in children with chronic illness. Amber's needs have changed with the multiple diagnoses the last couple of years and so her treatment also needed to change. She still is not medicated and the current psychologist is fairly impressed with how well Amber has done, all things considered. Amber's present treatment is still in its early stages and I don't have any real resources to offer from it. However, the following resources were all suggested by the first pediatric psychologist and all contributed to Amber's anxiety control. 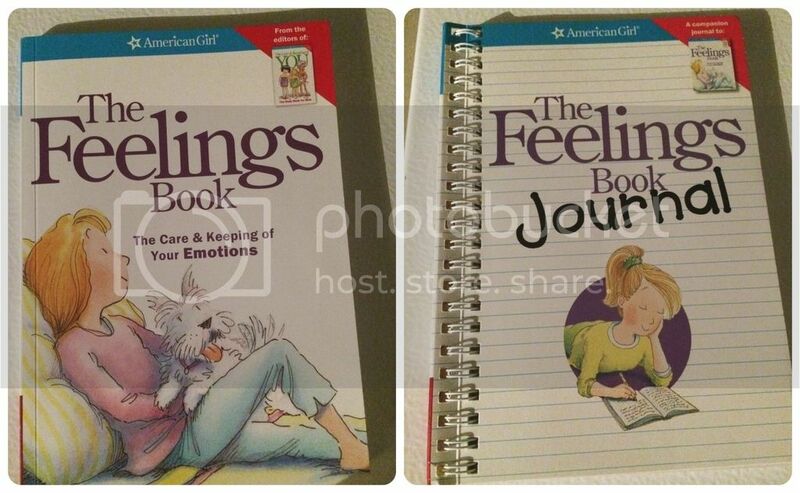 The Feelings Book: The Care and Keeping of Your Emotions - This title, along with the associated journal, was one of the more successful books recommended to us. Amber felt it was acceptable to discuss her emotions when in the context of working through this book and it provided valuable information. 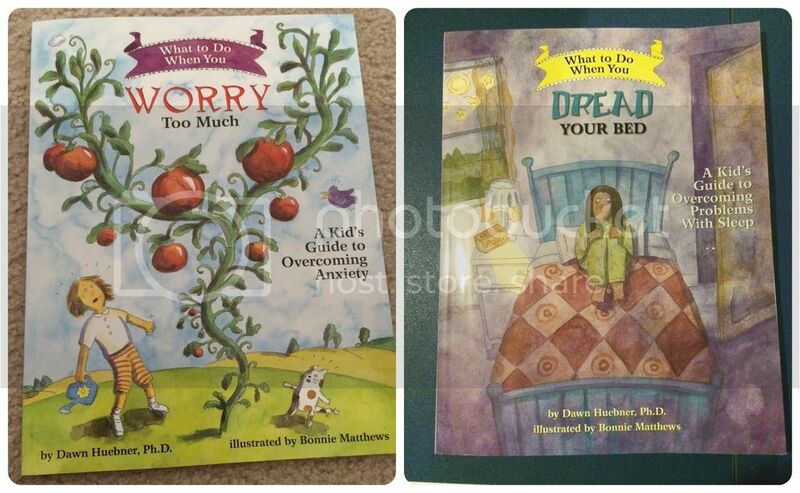 What to Do When You Worry Too Much: A Kid's Guide to Overcoming Anxiety - Amber worried this book would be geared for too young of an age for her, but in reality the information is useful even for adults. We still reference it, weekly. Freeing Your Child from Anxiety: Powerful, Practical Solutions to Overcome Your Child's Fears, Worries, and Phobias - This made a huge difference in how we all looked at life. I still read through it regularly. What to Do When You Dread Your Bed: A Kid's Guide to Overcoming Problems with Sleep - Little did we know at the time that Amber's sleep problems stemmed from her developing dysautonomia and EDS pain, however this book helped us encourage good sleep hygiene and remove any sleep obstacles other than her illness. A Smart Girl's Guide to Liking Herself, Even on Bad Days - This and many other American Girl Smart Girl's Guides were recommended to us by the psychologist. While they did not necessarily all deal specifically with anxiety, they definitely facilitated discussions over how to handle the emotions which trigger anxiety. 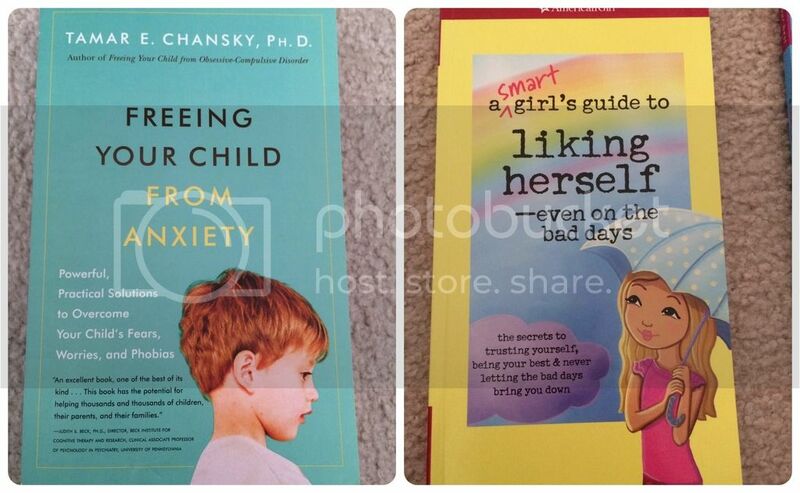 While these resources can help you or your child understand more about their anxiety, please don't rely solely on self-help books and seek out professional help if you feel it is needed. It was difficult for us to make that first appointment, but we have been ever so grateful for the assistance of the kind and understanding pediatric psychologists. Anxiety can be such a struggle. Jude has horrible anxiety, and his coping mechanisms were not great. We opted ho homeschool him when he figured out that rather than look stupid (because he was too afraid to do things), he'd misbehave where he'd be put in time out and left alone. He's petrified of other people, and while it's hard for us because it limits what we can do as a family, I can't imagine how difficult it is for him because he WANTS to do things. He just is too afraid. We have gone the medication route, because nothing else was working. It's not a silver bullet, but it is helping a little. Right now, our goal is for him to be able to walk into the doctor's office when the waiting room is crowded. I was ecstatic when we managed a grocery store that had two people already in the aisle we were heading down! Thanks for the prayers and we will add your son and family to ours. Thank you, thank you for sharing. I've been thinking a lot about anxiety, especially in relation to my youngest daughter (who has multiple medical issues). Would you mind if I emailed you to discuss some things privately? Cristi, you're welcome to email me anytime and thanks for hosting!